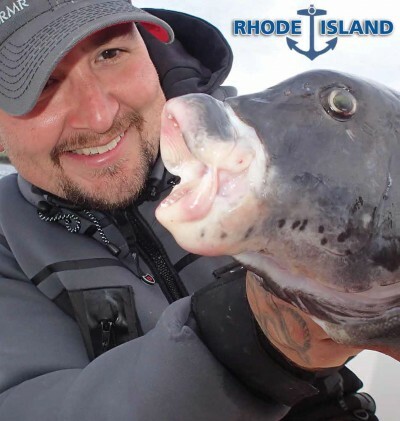 This month’s “Sea to Table” feature from Coastal Angler Magazine: Rhode Island Edition is Ocean State Tautog, also known as Blackfish. Mike Wade, of Watch Hill Outfitters, shared his families Tog Chowder recipe. With chowder, beer seems to be a natural. And for all things seafood, you can’t go wrong with the Narragansett Lager. The malty smoothness and crisp refreshment of the lager pairs well with most fish dishes, and is even used in a lot of fish preparations, such as in making batters and in cooking mussels. The Narragansett Lager is also the “Official Beer of the Clam,” but maybe it can be the beer of the tog as well! Click here to read the full story on Coastal Angler Mag’s site. Chop bacon, carrots, celery, and onion; toss in large pot. Simmer until onions are caramelized soft and brown but not burnt, about 20 minutes. Stir in flour. Immediately add 2 cups of the 2% milk and continue stirring until smooth. Simmer on low while chopping potatoes. Add potatoes to the pot and cook untill almost tender. Stir in heavy cream. Depending on consistency and quantity desired, add milk if needed. Cover and turn heat off heat; let stand covered for 20 minutes to steam fish while not overcooking it, which will make it tough. (Mike’s Option) Add 1 can smoked oysters to give it the hearty depth of flavor that we loved about Mike’s dish, and top with some chopped fresh dill.